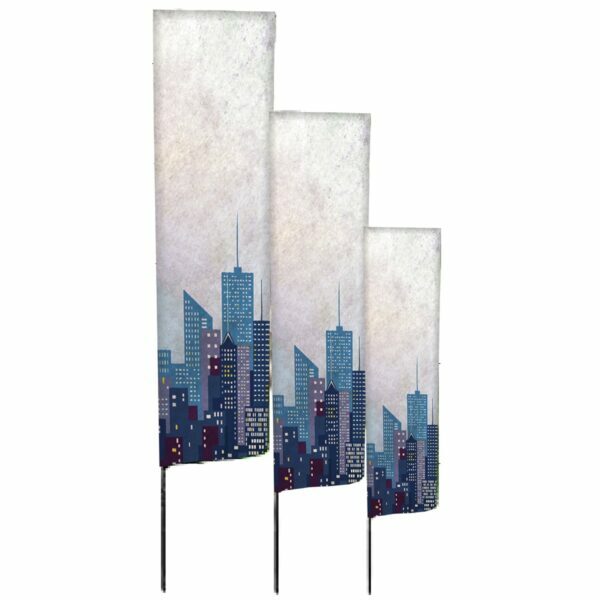 The Wind Dancer Flag has a telescopic pole that extends to 5 metres. Suitable for outdoor use. 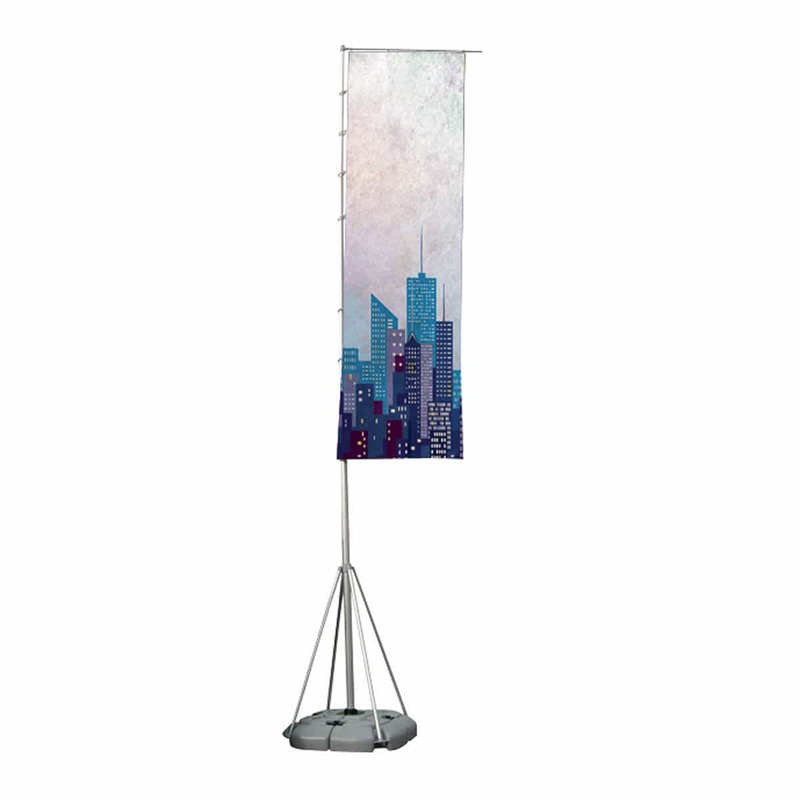 This giant outdoor flag will help you create a huge impact at shows. 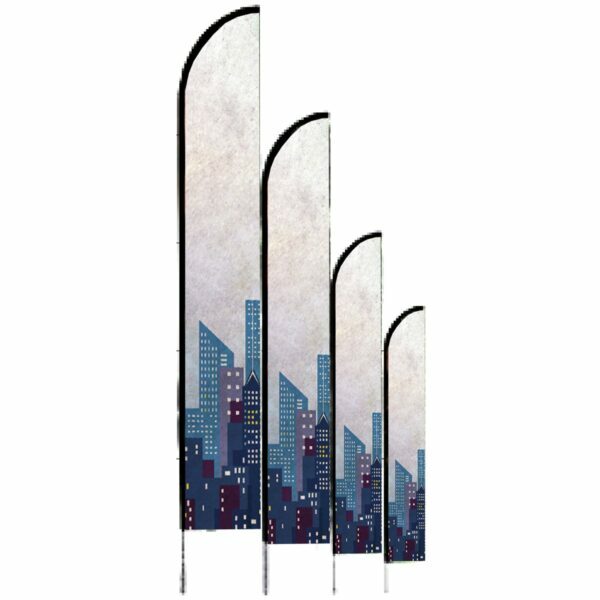 Wind Dancer Flag has a telescopic pole that extends to 5 meters so you can be sure to get your message across. 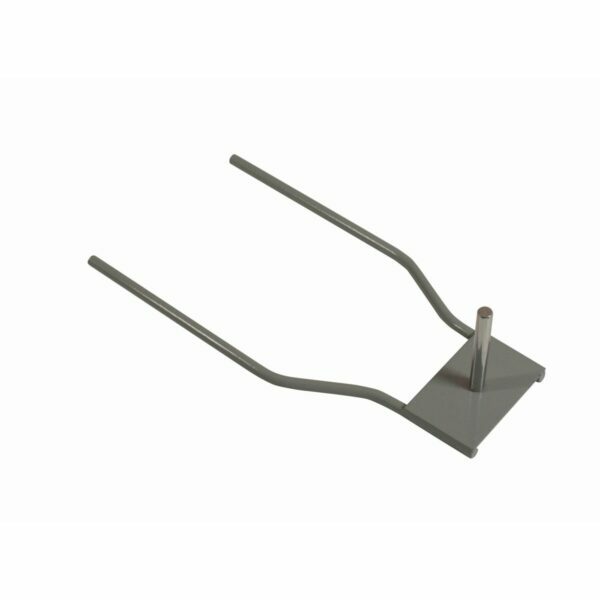 The stand is supplied with a telescopic aluminium pole and the base unit splits down into sections for easy transportation. 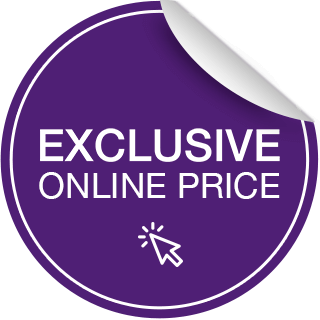 The flag is supplied with a 3500 mm x 1000 mm lightweight polyester fabric graphic, which is dye sublimation printed. As a result this means the image shows through onto the reverse of the fabric. The base is designed to either be filled with water or stand and is in incredibly stable once filled. 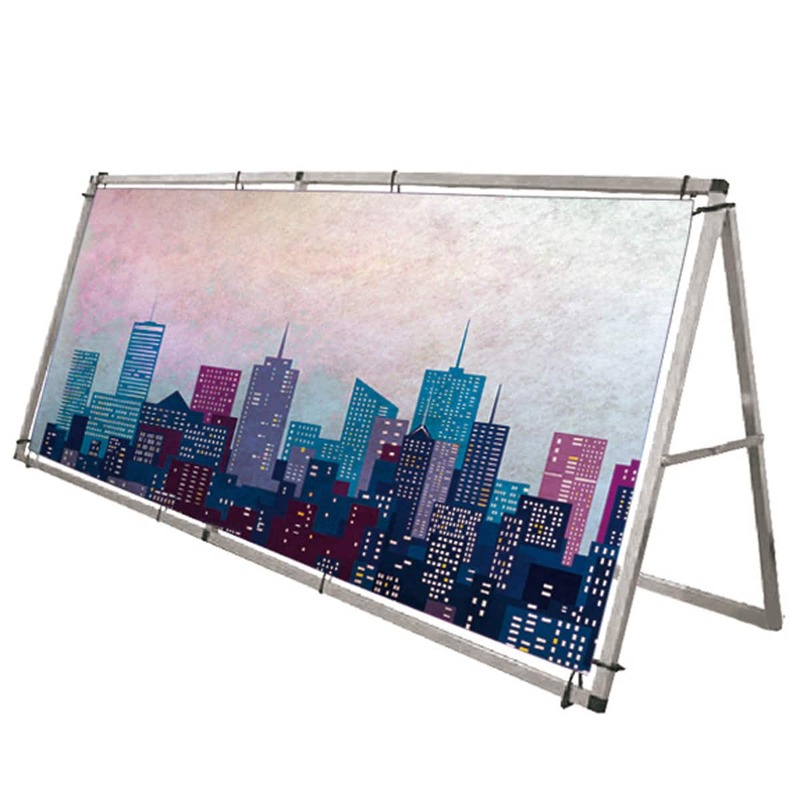 The stand is designed to withstand wind speeds of 13-18mph approximately (Beaufort scale 4) and supplied with a carry bag for easy transportation.